← What Changes Are in Store for Data Centers With Lithium-ion Batteries? Every aspect of your organization is expected to operate at top efficiency. This includes your data center. With Data Center Infrastructure Management (DCIM) systems, your organization certainly has a lot of information which can keep your network up to speed. 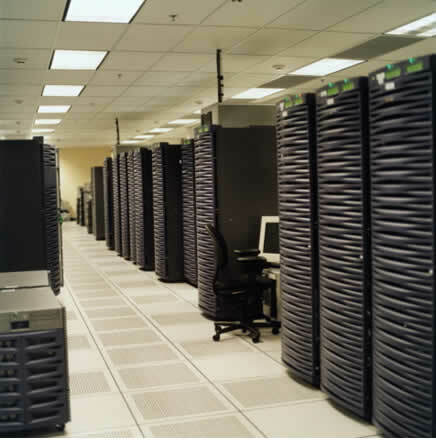 Unfortunately, DCIM solutions don’t have all the data your team needs. That’s where Automated Infrastructure Management steps in. Together, DCIM and AIM give your business the resources for an efficient and productive network. Learn why your data center needs DCIM and AIM together. Many of today’s data centers started out in a small closet, but over time have grown to take up an entire room to an entire building. One person cannot physically monitor every aspect of the network. DCIM solutions give an overview of the data center to let your IT department have command and control of the system, do better asset management, and allot resources more effectively. DCIM helps with forecasting future needs, which lets your business budget your IT needs better. With DCIM, a manager can also tell which equipment is using too much electricity to reduce utility bills. How Does the AIM System Increase Data Center Information? Although the DCIM provides a great deal of information, it won’t give your IT team information about the physical infrastructure. Many times, this information is kept in spreadsheets that quickly become outdated as new cables get moved around. With an AIM system, IT personnel can quickly identify problems, because the system can include work orders and blink at the location. It saves time by giving you almost a picture of your network. The AIM takes the guesswork out of which cables are plugged into with ports. It’s automatically updated every time a change is made. The DCIM and AIM systems talk to each other through Application Programming Interfaces (APIs). These APIs need to be customized to each data center infrastructure. Open APIs give the most flexibility over proprietary ones. Once the APIs are in place, data center managers have more information to effectively control the network, now and in the future. Give your team the resources for planning, implementation, and upgrades to the data center. Let your network grow with your business at the rate your budget allows. Ensure that the system is operating at peak performance without using too much electricity and having downtime for repairs. Choose an AIM that boosts the information received from the DCIM to keep your business running smoothly.